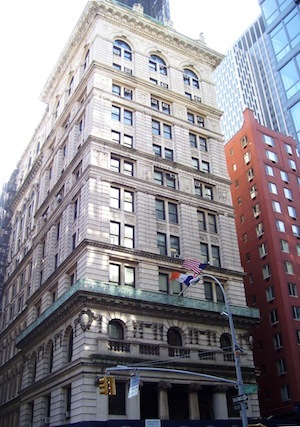 The city is selling two landmarked downtown office buildings at 346 Broadway and 49-51 Chambers Street, which will be converted into residences. The Peebles Corp., which acquired 346 Broadway for about $160 million, will create a mixed-use development with a hotel, retail and condos out of the 12-story, 400,000-square-foot building, according to a statement by the city. Joseph Chetrit bought the 14-story property at 49-51 Chambers Street for $89 million and told DNAinfo he will convert the structure into high-end apartments with ground-floor retail. Peebles Corp. has yet to choose an architect or a hotel brand for the project, Crain’s reported. The developer also will be building a 16,000-square-foot digital arts and media facility at the site for public use. The sale is part of the city’s push to increase efficiency and cut operating expenses by eliminating underused office space. The city tenants at 346 Broadway and 49-51 Chambers Street will be relocated.